On a Monday in June in McMinnville, something super cool happened. There was a superb greet, drink and pick up a copy of Dirty Guide to Wine gathering of the Oregon wine minds. 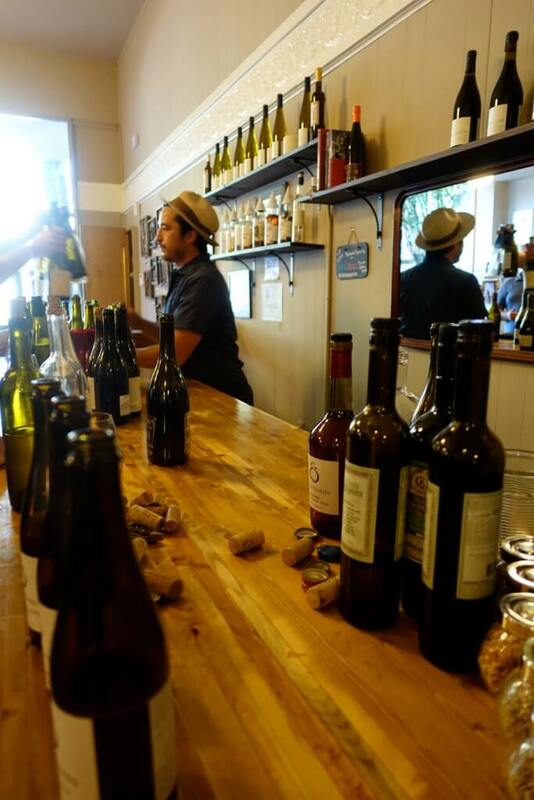 This happened in the Ransom tasting room, thanks to Tad Seestedt who the doors for a swarm of winemakers and… me. The idea, which sprang from the fertile space of Jason Lett’s imagination was to invite the locals to share some of their wilder wines, talk, hang out, taste, drink. My buddy, Lisa Donoughe of Watershed Communications helped out. The response was overwhelming. Were there like 40 people in an no-air-conditioner space on a 90+ day? Indeed. And did we complain? No we didn’t. There was so much wine, heat. I wasn’t taking notes, I was talking, catching up and catching the new. So, people like Jeff Vejr of Golden Cluster got the short stick by not getting a tasting write up from me. But that savagnin rose from the historic Coury vineyard? Hell yes. And what about the Flora? Indeed. The energy was brilliant, hard to believe there’s not a let’s get together and taste each other’s wines there. If I had any legacy, maybe connecting these people to each other is the one. So much to learn in a wine exchange. Brianne Day, who at the time was beamingly pregnant, surveyed the room and said, “This never happens.” But at the end, the word was that it would happen again, perhaps yearly, with or without me. 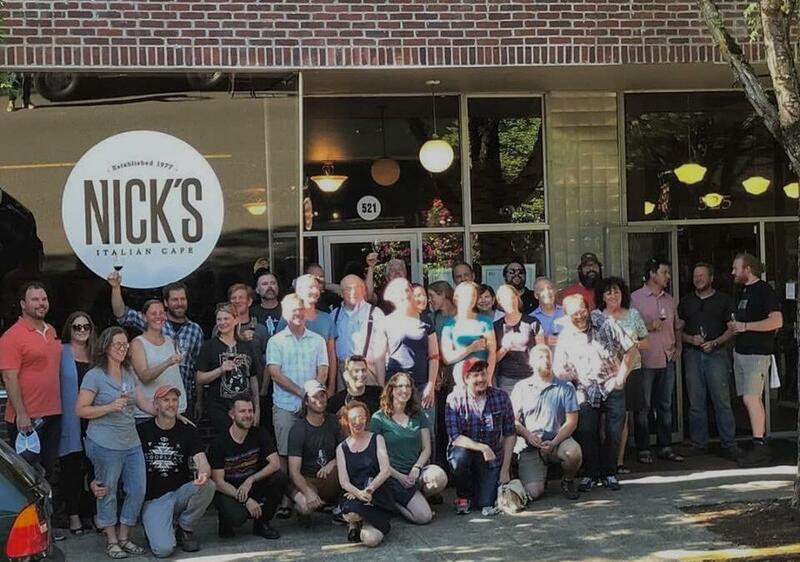 And in a surge of Oregon love, there was a restaging of a photo of winemakers in front of Nick’s, just as they took at the end of the International Pinot Noir Celebration. And they were nice enough to let me join. Some of the wines I was excited about are now up on the newsletter’s website. Go look!